Here's a tip: Paint everywhere except where you're holding, to save your fingers. Let it dry, then come back and paint the unpainted spot. Space the sticks out as you like and glue them on top of each other. Glue the googly eyes onto the PomPom and you're finished! So cute. My girls will love these!! I would love for you to stop by diyhshp.blogspot.com and link this up to my More the Merrier link party. Oh fun! 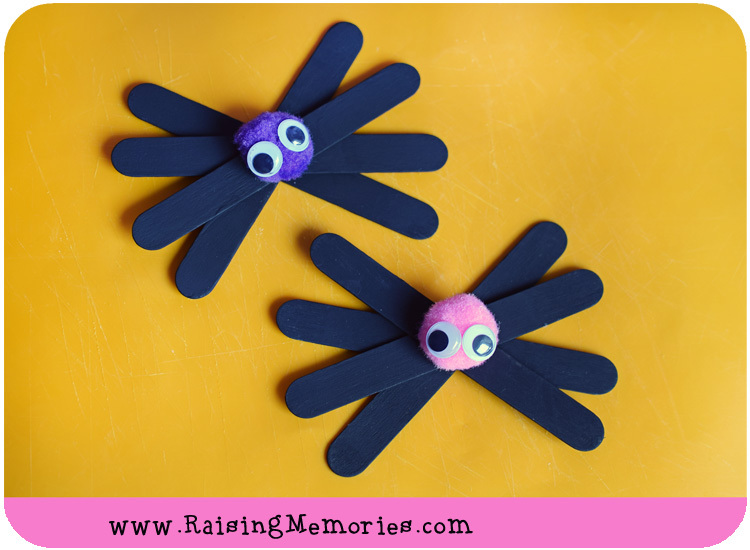 What a great and easy craft to do with the kids for Halloween. I'll grab some of these items from the $ store today. Thanks for this tutorial! It's so simple and fun. This will be perfect for my church kids, too! This looks so easy and so cute with those googly eyes! 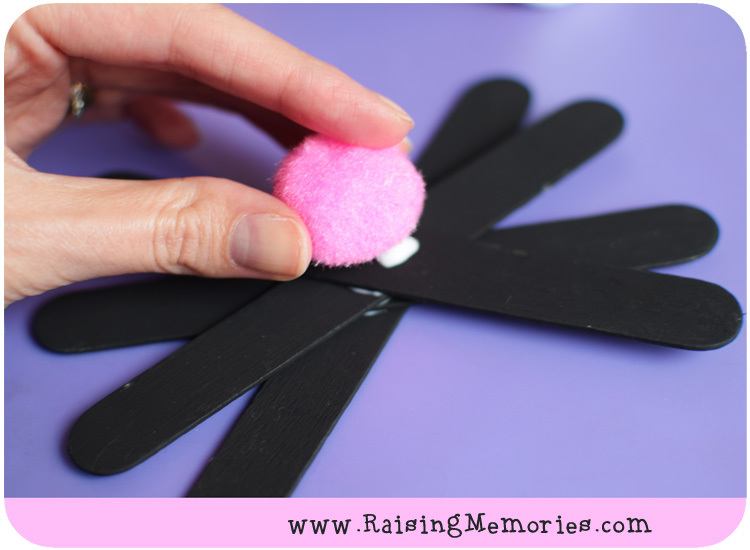 This is super easy for my kids to do and looks like a lot of fun! Great for the young grand children to make, easy and cute. This craft is terrific. It is super easy, but also super cute. I have passed it on to my neighbor who is the President of our local Co-Op preschool. These are fun and simple enough not to get frustrating. Easy and cute, gotta like it. Another excellent and simple craft idea. I love the pink and black combo! Such a cute simple craft! Thank you. I really like how easy & cute all the crafts you post! Children would love making these and they seem easy enough for young ones to accomplish the task quite easily. Well these are beyond adorable! Will have to remember for next year! These are really cute and pretty easy for the young ones to make too!! Cute idea,bookmarked for next Halloween :).Thanks! Oh I'm going to pin this for next year! Very cute and easy for little hands. I love this idea it is amazing. I probably wouldn’t ever think of doing that. Thanks for another cute idea !